Corporate accelerators are invaluable for helping large, complex organizations stay agile into today's fast-growing economy. 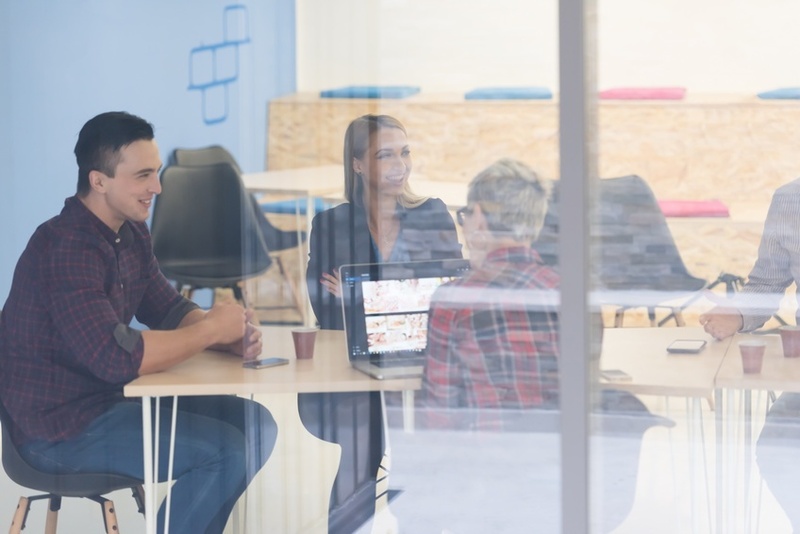 By maintaining close relationships with startups, enterprise innovation teams can more effectively keep their ears to the ground and uncover business opportunities that may otherwise remain untapped. But starting and maintaining a successful corporate accelerator is harder than it looks. As I wrote in part I of this series, many organizations aren't set up with the resources, infrastructural support systems, and management structures to build a successful program internally. Not to mention, the concept of corporate innovation is brand new—almost every enterprise company is a pioneer, which means that the risk of failure is high. The keys to building a successful corporate accelerator? Learn from others' mistakes, know your organization's strengths and weaknesses, and bring on potential partners to bridge gaps. Here are three steps to help you avoid and course-correct potential mistakes and build a path to success. When corporate innovation teams launch accelerator programs, they're often under pressure to show results in the immediate term. But if ROI doesn't immediately happen? It's easy to deem an initiative to be a failure. This is a natural perspective since, at the end of the day, a corporate accelerator is a business unit—and business units need to generate results in the form of increased profits and reduced costs to be successful. What's important to remember, though, is that innovation is a continuum. Even if programs aren't profitable within the span of months, or even years in some cases, what's most important is that you're headed in the right direction. Even failure can help improve longer-term outcomes by allowing you eliminate flawed assumptions early. For inspiration, consider Lufthansa Cargo's story. “As a company, we've been focusing on innovation and digitization over the last 20 years. We've operated multiple accelerators across the Lufthansa Group," says Monika Wiederhold, vice president at Lufthansa Cargo. Rather than striving to build an engine for acquisitions or partnerships, Lufthansa has positioned its accelerators as an R&D method for new business opportunities. “There have been good experiences with accelerators," explains Wiederhold. “It's this path that led us towards an opportunity in the market—the need for a logistics accelerator in Silicon Valley. We partnered with RocketSpace to build it as a natural next step in our evolutionary process." When you're running a corporate accelerator, it's easy to get caught up in a cycle of networking, relationship-building, and connection-forging. While these steps are important, innovation teams often confuse this activity as a measurement of progress when in fact, over time, no results materialize. An alternative that RocketSpace recommends is to measure progress through a series of smaller experiments. This way, you can make shorter term evaluations that align with your longer-term goals. “For us, our accelerator with RocketSpace is a means of running these experiments before deploying ideas in full across our company," says Wiederhold. “And it is a very interesting one, of course, because we get fresh, external input. This brings structure to experimental methods that are otherwise difficult to execute in a corporate environment." With timely access to experimental results, corporate innovation teams can make smaller-term pivots to minimize the potential for long-term waste. By quantifying progress, companies can trace and optimize their improvements over time. Be mindful not to make your innovation program an exercise in vanity. This step may seem simple, but it's often tough to execute. Companies that launch corporate innovation programs are often in the public eye: take a wrong turn and the media may respond with scrutiny. And when the media responds with scrutiny, shareholders get nervous. That's where a shift mindset becomes important: redefine your notion of failure. The simplest way? Approach the topic in the same way that a statistician or engineer would, in which failure is just one of two outcomes. If an initiative works, move forward with scaling it and making it a core part of your organization. If an initiative fails, course correct your idea. Tell this story authentically and it will help your brand from a PR perspective. Think long-term with your corporate innovation efforts, and you'll outsmart the potential for failure. The key to balancing shorter-term and longer-term goals is alignment: with this mindset, you'll position your efforts for success. Did you miss Part I of the blog? Check out Why Corporate Accelerators Fail — and What to Do About It [Part I] from the Corporate Innovation blog.